This striking Surrealist floral oil on board painting is by female artist Elvic Steele. It was painted in the 1960's and is entitled Rosa Moyseii verso, which is a red rose with large rosehips. 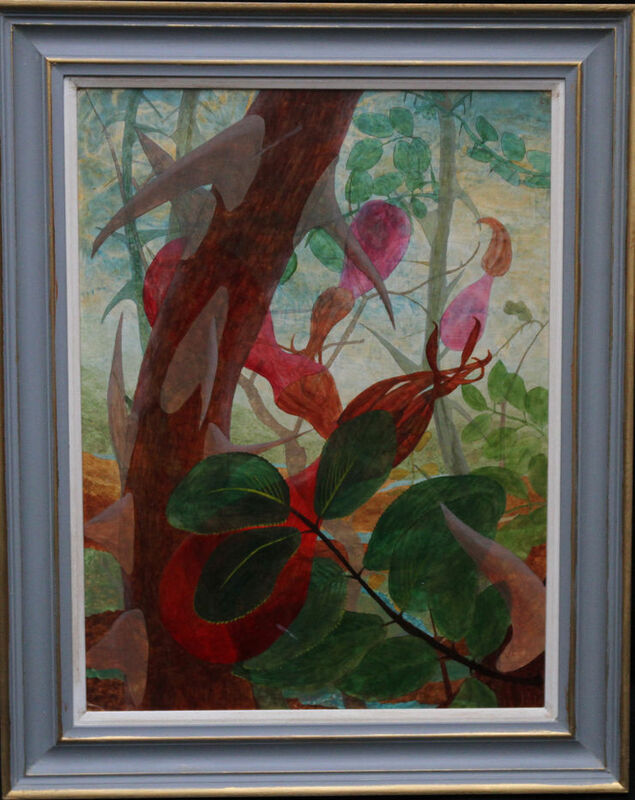 Our painting shows the rose post flowering with several large red rosehips amongst very regal thorns on the stems and the bright green foliage. 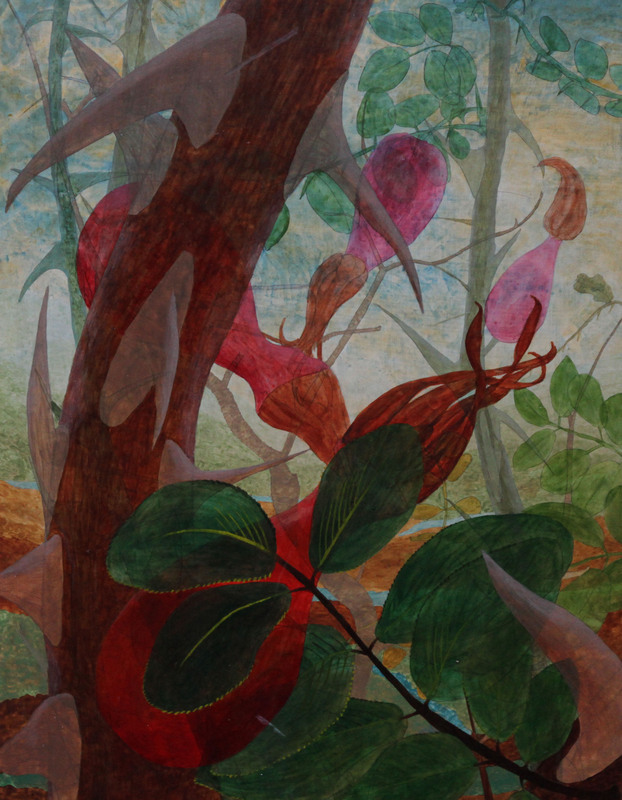 There is a translucency to the painting as Steel allows us to see the branches or foliage underneath the top layer. A magical painting. Housed in a gallery frame, 30 inches by 24 inches and in excellent condition.